Infertility can be frustrating, especially if you have been trying to start a family to no avail. Thankfully there are plenty of treatments out there for those struggling to conceive. Dr. Janelle Dorsett is one of the leading fertility experts in the Lubbock area, offering patients in vitro fertilization (IVF) and many other assisted reproduction procedures. Her commitment to patient satisfaction and education is matched by her genuine care for each person who visits. A number of women who visit the practice have tubal infertility problems, many of which are linked to other health conditions. We'd like to look at these matters in brief right now. Also known as uterine tubes, the fallopian tubes are two small, fine tubes that lead from the ovaries to the uterus. The fallopian tubes allow for an egg to travel into the uterus in order to be fertilized. What Happens When a Fallopian Tube Is Obstructed? 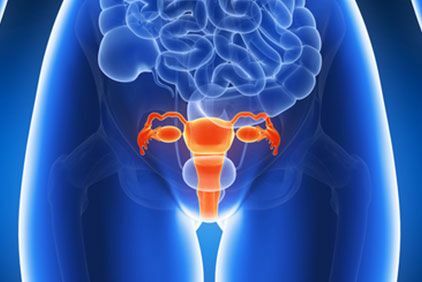 When a fallopian tube is blocked or obstructed in some way, this prevents eggs from entering the uterus, which makes becoming pregnant extremely difficult. How Common Are Fallopian Tube Obstructions? It's been estimated that tubal obstructions and tubal factor infertility account for 20 percent to 25 percent of all cases of infertility. It is one of the more common female infertility issues people may face. The above issues can cause adhesions of the fallopian tubes that seal them shut, or block them in a significant way. The best treatment for fallopian tube obstructions will typically involve addressing the root cause of the blockage. In general this means tubal surgery (tuboplasty), and there are a wide range of procedures available to address issues with the fallopian tubes. Some options include fimbrioplasty, salpinostomy, resection surgery, and tubal reimplantation. Medications can also help on their own or when paired with surgery, reducing inflammation and preventing further tissue damage. A woman who underwent tubal ligation may be able to have her surgery reversed, though this will depend on how the initial procedure was performed. When tubal surgeries do not appear to be viable options for treatment, fertility procedures tend to be the most ideal option. This includes in vitro fertilization (IVF) in which an egg is fertilized in a lab setting. Special techniques may be necessary to extract viable eggs from a woman's ovaries given the obstruction of the fallopian tubes. This can be discussed in greater detail during your visit. It's important to us that each patient feel comfortable and confident with any decisions they make regarding fertility treatment. This is why we take time to answer questions and address their concerns in the consultation process. Patients are able to make well-informed choices about their needs in this way. To learn more about female infertility and how it can be treated, be sure to contact our team of fertility specialists today. Dr. Janelle Dorsett and her team are here to help you start a healthy and wonderful family of your own.